In 1978 Billy featured as guitarist in The Nosebleeds with future singer of The Smiths (Stephen) Morrissey, they only played two gigs and this is the poster from the first of those. 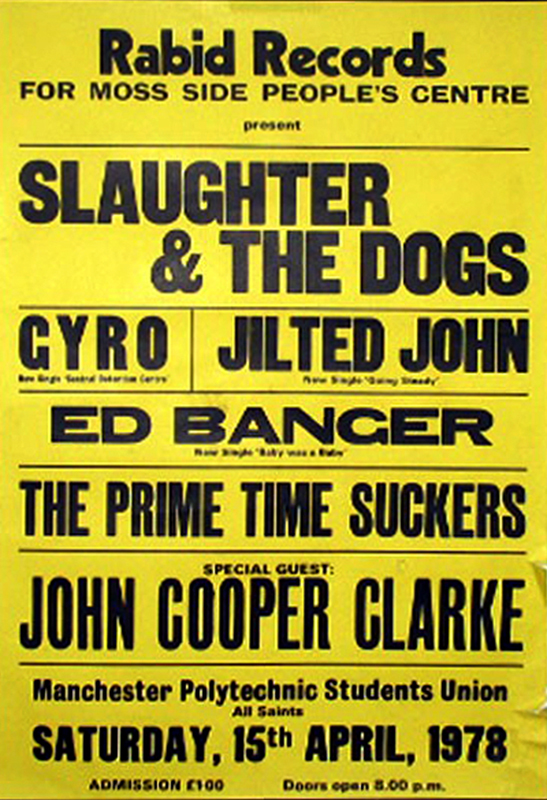 The band had originally been Ed Banger and the Nosebleeds and despite Morrissey replacing Ed the poster still bills them as Ed Banger. It was also notable because the whole set featured Billy and Morrissey co-written compositions and they didn't perform any 'old' Ed Banger and the Nosebleeds songs! Also at this gig Billy was asked to join a new band, Studio Sweethearts, which was being formed by Mick Rossi of Wythenshawe’s Slaughter and the Dogs. Billy later went onto play with them including releasing one single, 'I Believe' in 1979.